Obesity – We have a problem, what now? 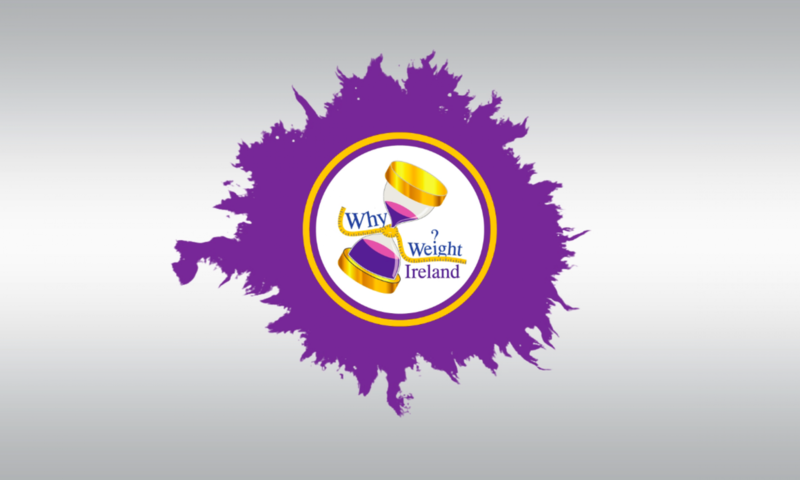 As you may have seen in the news over the past week an obesity study has been published showing that in less than ten years Ireland will have the second highest level of obese women in Europe (37%) – just 1% behind the UK (38%). Men in Ireland, Cyprus and Malta currently have the highest average BMI in Europe. Ireland and the UK women currently have the third highest average BMI in Europe. By comparison, 43% of US women and 45% of US men are predicted to be obese in 2025. The research, published in The Lancet medical journal, also found that almost one-fifth of the world’s obese adults live in Ireland and five other high-income English-speaking countries – Australia, Canada, New Zealand, the UK and the US. The study was completed using the BMI of 19.2 million people in 200 countries over the past 40 years. Over the past 40 years, we have changed from a world in which underweight prevalence was more than double that of obesity, to one in which more people are obese than underweight. And where Ireland over the past 50 years was nearly the thinnest nation in Europe, but a change in our diet to high salt and sugar and a decrease in physical activity has changed our weight rapidly. At the same time, countries like Belgium, France, and Switzerland had virtually no increase in average BMI over the past 40 years! Overall, the research shows that more adults in the world are now obese than underweight. Scientists said that four decades ago being underweight was a bigger problem than obesity, while today obesity in men has tripled. The research also predicted that the probability of reaching the World Health Organization’s global obesity target – which aims for no rise in obesity above 2010 levels by 2025 – would be “close to zero”. The obesity time bomb is no longer just ticking – it has exploded. As a nation, we are getting fatter by the year. We can no longer pretend that this is not happening. Despite an almost daily drip feed of new diet books and regimes, the evidence is we are piling on the pounds. So what’s happening and, more importantly, why is it happening? Obesity and the damage – physically, emotionally and financially – it’s causing so much damage to our society today. Shockingly, the obesity crisis is now affecting children as young as three and four years of age. A previous study in 2014 showed that almost 20pc of nine-year-olds were overweight in 2011 and a further 7% obese. Ireland’s only dedicated childhood obesity treatment programme, at Temple Street Children’s Hospital in Dublin, has had a 400% increase in just one year in referrals of children under five years of age. The health implications for children in the short term include hip, knee and back pain, breathlessness, higher risk of asthma, bullying and stigmatisation, as well as high cholesterol and high blood pressure. The long-term effects include poorer educational achievement, risk of heart disease and certain cancers as well as a risk of developing type 2 diabetes. I regularly receive emails and messages from worried parents about their young children and I regularly have children and families come see me in my studio. Every child that is referred to me who is overweight or obese has a different story and reason why they have issues – and each case I treat differently. Acknowledgment of excess weight and an understanding of its health consequences are essential first steps in tackling obesity. We have to start being realistic about OUR future. A severely obese person is likely to die eight to 10 years earlier than a person of normal weight. Approximately 10,000 people die each year from cardiovascular disease (CVD) – including coronary heart disease (CHD), stroke and other circulatory diseases. CVD is the most common cause of death in Ireland, accounting for 33% of all deaths. The Institute of Public Health in Ireland has predicted that chronic conditions such as high blood pressure, coronary heart disease, stroke and diabetes are expected to rise by 40% in Ireland by 2020. According to Diabetes Ireland, there are somewhere in the region of 225,840 people living with type 2 diabetes here with up to 15,000 new cases diagnosed every year. Of those diagnosed with type 2 diabetes, about 80 pc are also obese. While in the past people were typically diagnosed with type 2 diabetes in their early 50s, today they are being diagnosed in their 20s, 30s and 40s as well. Type 2 diabetes is costly in every sense – apart from complications such as blindness and amputation, it makes you five times more likely to have a heart attack or stroke. Scientists believe there are several reasons for the link between body fat and cancer. For example, research shows fat cells release hormones such as oestrogen, which can increase the risk of cancers such as breast cancer. Studies have also shown that fat encourages the body to produce ‘growth hormones’. Having high levels of these hormones is linked to a greater risk of cancer. Despite worldwide increases in the prevalence of obesity and the recognition that genetics can be a factor for some individuals, prejudice and discrimination towards obese individuals persists. Ridicule and disparagement of obese individuals seems to remain a socially acceptable form of prejudice – even still in the school yards. The scientific evidence that is there towards sugar contributing to the obesity crisis is stronger now than ever before. Reduce sugar intake and you will lower the impact on you or a child’s weight. With a new government soon to be elected, the ‘sugar tax’ topic is being talked about again but personally the sugar tax on fizzy drinks is just a tiny step to the problem and much more needs to be done. You walk into a corner shop and what is the first thing you see – CHOCOLATE. I was in my local garage yesterday and just walking in the door you are hit with baskets and baskets full of special offers 7 Twixs for €2, Kit Kats, Drifters, Yorkies etc. etc. all for cheaper than foods that are healthy/good for us. As a society we have less money than we did before, so budgeting has become harder – we are almost forced to buy unhealthy foods that have more sugar or salt in them just so we can stay within budget. Why does healthy food cost so much more than non-healthy food? Shouldn’t it be the other way around? Educating ourselves about our bodies, about food, about food labels and about calories will help battle the current epidemic. If we don’t address the obesity epidemic, we’re just going to continue increasing hospital weighting lists with further weight related illnesses, seeing our children become more ill and for the first time we may start to see our children pass before we do all because of food choices and lack of physical activity. To beat this we must all start with ourselves. We have to start teaching our children what we preach. We must all learn from our mistakes and begin making changes TODAY. Even the smallest changes can make the biggest impacts. If you have any questions or you are worried about your child then please do email me at support@d1459786-92704.blacknighthosting.com or contact your local GP.